Through the collaboration between MLB and Discovery Education, educators using Discovery Education’s Science Techbooks have been empowered with new digital resources that help students connect the world of baseball to key science and STEM concepts through real-world data and exciting gameday experiences that fuel deeper engagement. 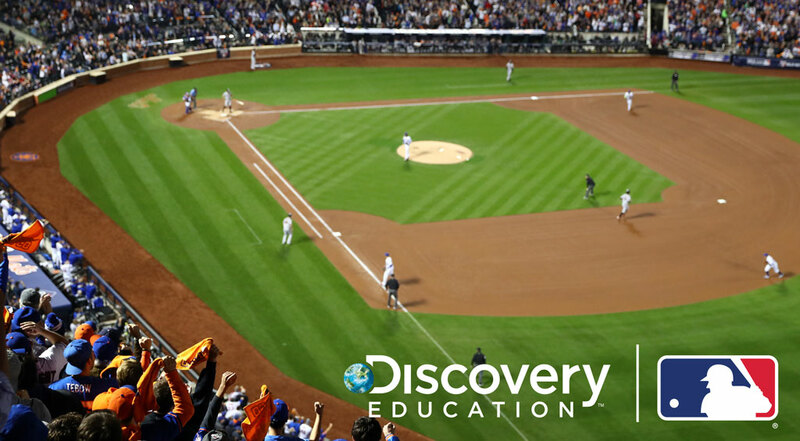 During this initial phase of the partnership, a variety of MLB-themed content has been integrated into Discovery Education’s STEM Connect and Steaming Plus services. o The videos, which were produced by Discovery Education, showcase a variety of MLB careers and help students connect what they are learning in school to multiple career options in Major League Baseball, such as a groundskeeper, data analyst, and baseball operations executive. These resources will be available in the middle school and high school editions of Discovery Education’s Science Techbook, Discovery Education’s STEM Connect, and the Discovery Education Streaming Plus supplemental content service. o Features authentic data from MLB’s StatCast, the state-of-the-art tracking technology that allows for the collection and analysis of a massive amount of baseball data. The baseball-focused STEM Project Starters challenge students to solve real-world questions, such as “how does stadium altitude affect the number of home runs hit there?” or “how does playing surface impact player speed?” These resources will also be available in the middle school and high school editions of Discovery Education’s Science Techbook. Leveraging information from baseball-focused STEM career videos and other primary sources, students are challenged to solve authentic problems as a professional in the “real world” would. In this series, they must design a way for players and coaches to communicate in real-time in order to accomplish the following: inform player performance, use data to compare field conditions at different ballparks, and answer questions about subsystems that are needed to run a stadium. These resources will be available in the middle school and high school editions of Discovery Education’s Science Techbook. 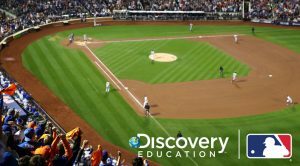 In addition, Discovery Education Streaming Plus will be home to a new MLB-focused Content Collection, which will house a variety of baseball-themed curriculum asset — including “best of” videos and images from the MLB archives — all available for educator use and their seamless integration into classroom instruction. Additional dynamic content will be available in Spring of 2019. Currently used by approximately 5.6 million students across all 50 states and Canada, Discovery Education’s Techbooks are fully interactive, comprehensive digital textbooks. Updated regularly at no cost, all Techbooks are standards-aligned and provide educators a complete digital curriculum that includes detailed lesson plans, hands-on activities, digital simulations, and robust teacher support that immerse students in instruction. Discovery Education’s STEM Connect is a web-based, interdisciplinary K-8 supplemental resource that helps students develop the creative, critical thinking, communication, and collaboration skills they need for success beyond graduation. Featuring flexible, modular learning units, STEM Connect provides students an easy-to-follow educational experience that includes real-world challenges, career connections, and hands-on activities. Discovery Education Streaming Plus is a comprehensive digital service supplementing instruction across all K-12 curricular areas. The Streaming Plus helps build students’ mastery in interpreting, understanding, and evaluating information through a variety of digital assets including images, primary source documents, podcasts, oral interviews, articles, videos, interactives, and more. A powerful suite of content creation tools within Streaming Plus help students create their own content, and additional tools help teachers and students safely and easily collaborate in real-time on virtual projects.